Yoga Fart Monologue was posted on 6 Sept 2013. This monologue is from the play Yoga Fart available digitally and in print here. Check out this performance of the Yoga Fart monologue by Katie Richmond-Ward at The Actors Workshop of Nottingham! 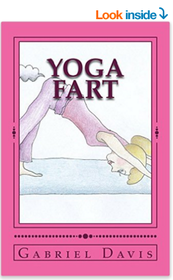 Have your own performance of the Yoga Fart? Select the "Contact" tab at the top of this site and get in touch! Check out this performance of the Yoga Fart monologue by Tessa Ostvig. To jump directly to the Yoga Fart, move scroll bar forward to 2:32. Ellen-Gayle Harewood's rendition of the Yoga Fart monologue.